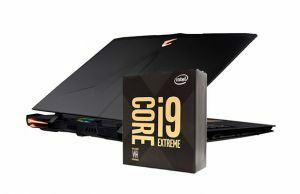 If you plan on getting a full-size multimedia/gaming laptop during 2017 and even the first part of 2018, there’s a big chance it will run on an Intel Core i7-7700HQ processor, and this post will tell you what to expect from this CPU, how it performs in daily use and benchmarks, and how it compares to Intel’s previous generations. First of all, the Core i7-7700HQ is a quad-core processor part of the the Intel Kaby Lake H family, with HyperThreading and TurboBoost. The Cores are clocked at 2.8 GHz, but with TurboBoost they can go up to 3.4 GHz (Max Quad Core Turbo – all 4 cores active), 3.6 GHz (Max Dual Core Turbo) or 3.8 GHz (Max Single Core Turbo). Other technical details include a max TDP of 45W, 6 MB of L3 Cache and support for DDR4 (up to 2400 MHz memory). All these numbers might say something to some of you, but the average buyer is going to be more interested in how the new CPU fares against the Skylake and Broadwell mainstream quad-core i7s. But first, here’s a quick look at their spec sheets, for a simpler picture of what’s changed. Alright, so compared to the Skylake Core i7-6700HQ, the Kaby Lake i7 runs at 7-10% higher frequencies and supports faster DDR4 memory. 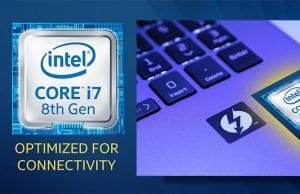 There’s more than meets the eye beneath the surface, like Speed Shift v2 and improved media on-chip decoding, but in very few words, the Core i7-7700HQ is just a revised version of the Skylake i7, with a slight boost in performance and energy efficiency, and while the later is somewhat difficult to measure, the speed bump is visible in benchmarks. You’ll find some CPU results below. 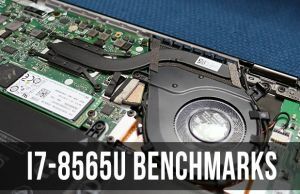 The Core i7-7700HQ numbers are based on an Acer VX15 review unit (early sample, so expect retail laptops to get slightly higher scores) and will be updated later on as we test more computers built on this CPU, while the previous generations’ results are averages of the scores recorded in past reviews. These numbers are pretty much as expected, showing 5-10% increases from the Skylake to the Kaby Lake i7. At the end of the day though, one will wonder if a Core i7-7700HQ configuration is worth getting over the previous Core i7s, and the answer is yes, most of the time. 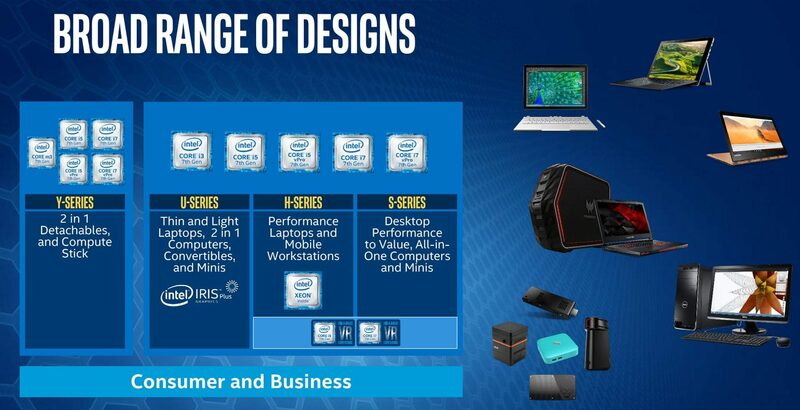 Intel has no real competition when it comes to PC processors, and as a result their updates have been incremental for a while, so no surprise here. The slight bump in processing performance and efficiency is appreciated, but not a deciding factor. What you should consider though is the overall configuration and retail price. As I mentioned earlier, this kind of quad-core processors will make it into a vast range of multimedia and mid-range gaming notebooks, and the launch of a new CPU series spurs a multitude of new models from every big OEM, alongside updates of the older versions. And new models usually translate in improved form-factors, ergonomics and features, thus there’s a big chance you’ll find better value in a Core i7-7700HQ configuration later into 2017, simply because you’ll have more options to choose from. On top of that, you will only find certain configurations built on the newer processor, for instance multimedia notebooks with Nvidia 1050 and 1050 TI graphics, just because these graphics chips were launched at the same time with the Kaby Lake Core HQs. On the other hand, you shouldn’t totally disconsider the Core i7-6700HQ models, especially the late-2016 versions paired with Nvidia 10th series graphics. You might find these discounted, so keep your eyes peeled. Bottom point though, the Kaby Lake Core i7-7700HQ is the kind of processor I’ve been expecting from Intel: a little bit faster, a little bit more efficient, but overall mostly on par with the previous generation. The kind of CPU you should definitely consider on a new laptop in 2017, but not a CPU that would require you to upgrade your 2015 or 2016 machine. I recently purchased an ASUS ROG STRIX GL702VS-DS74 17.3" with 16 GB DDR4-2400, GTX 1070 w/8 GB GDDR5 running the i7 7700HQ. My question is in regards to RAM. Is the RAM max speed indicative of the manufactured speed rating (DDR4-2400) or the actual (i.e. : DDR4-2400 MHz actual I/O Bus speed 1200 MHz) or is it related to the MT/s rating? Reason asking, is I am looking at going with 2666/2800/3000+ RAM to get the most from my system without over-clocking the RAM but have the option if a game/program does require more speed. Sorry if I have crossed points but I have not found a thread that talks all these points in one review/discussion. Appreciate any clarifications you can provide to keep me from going somewhere I do not need to go in maxing the RAM to 32 GBs. "Geekbench 4 – Single Core	4312 pts	156 fps	166 fps	145 fps"